Team HRC and Paulo Gonçalves took the top honours in the fourth stage of a fast and hazardous Atacama Rally. The team’s Argentinean rider Kevin Benavides fell while Ricky Brabec had a steady day in the saddle. The early morning mist once again wreaked havoc with the scheduling, not allowing the helicopters to take off and delaying the start of the race. 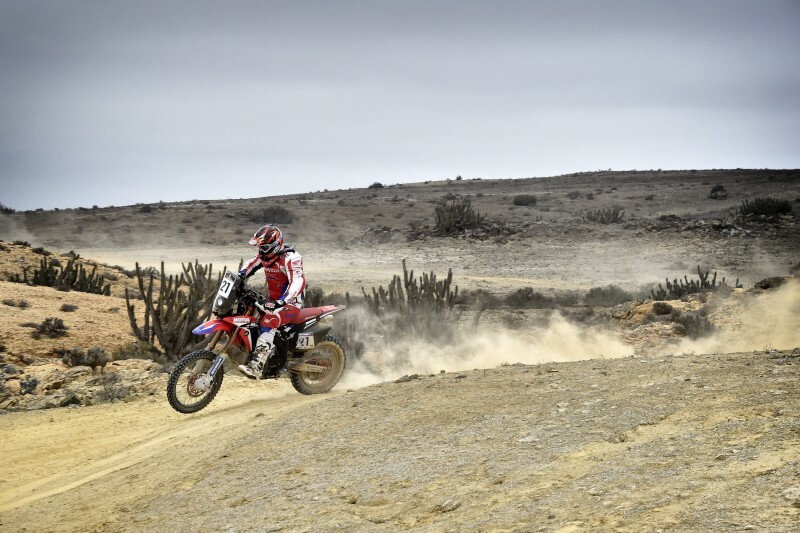 Once more, the harshness of the Atacama Desert was all too evident in this penultimate stage with very rocky yet high-speed tracks that riders threw themselves into. 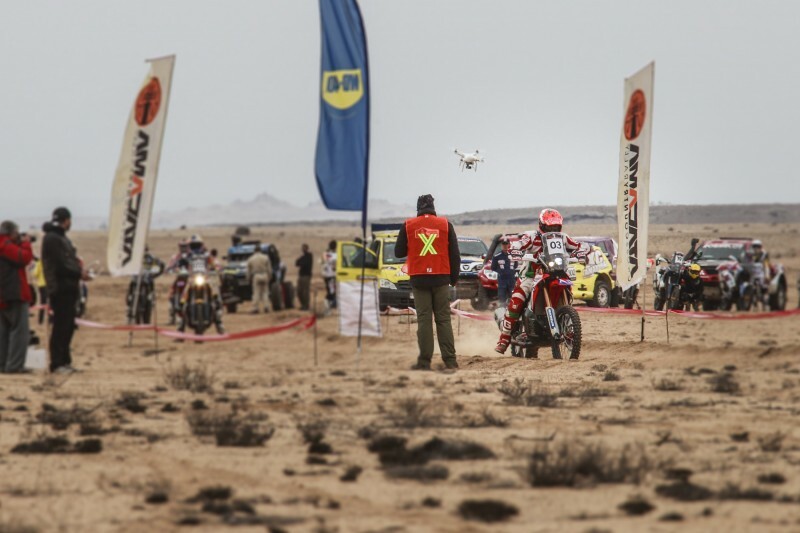 The perils of the desert were all the more unexpected for the fast pace. 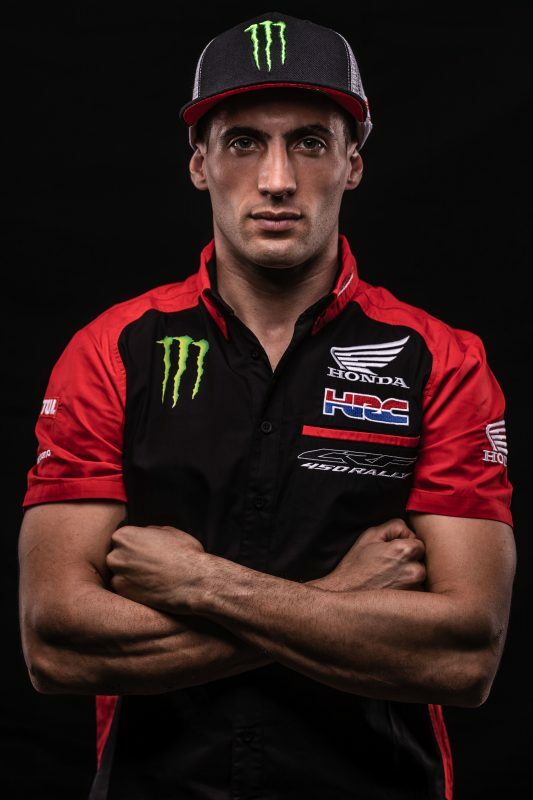 Fortunately, the physical condition of Team HRC rider Paulo Gonçalves had improved considerably after a fall two days ago. 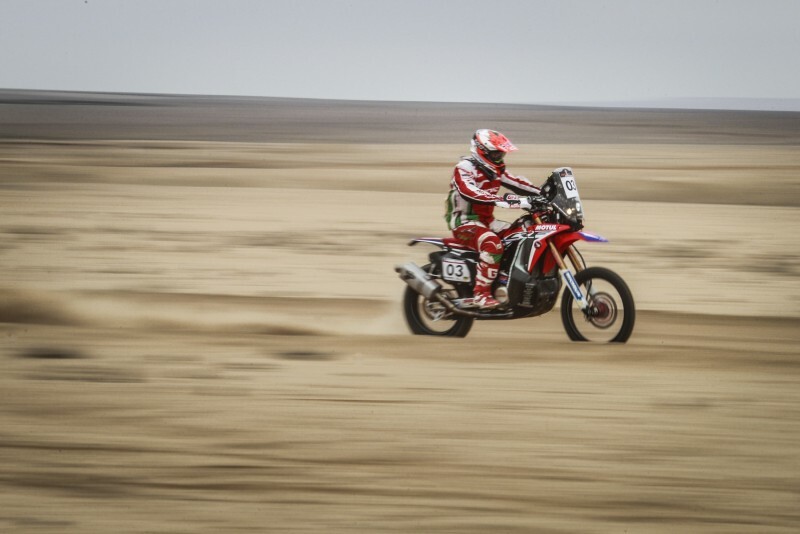 He let rip on the track from Bahía Inglesa to Vallenar before returning on a looping circuit which was reduced on the day by twenty kilometres. Paulo set a storming pace and dominated the special stage, finishing the stage with a twenty second surplus over nearest second place rival. The Portuguese rider now lies in third spot overall some six minutes adrift of the leader. 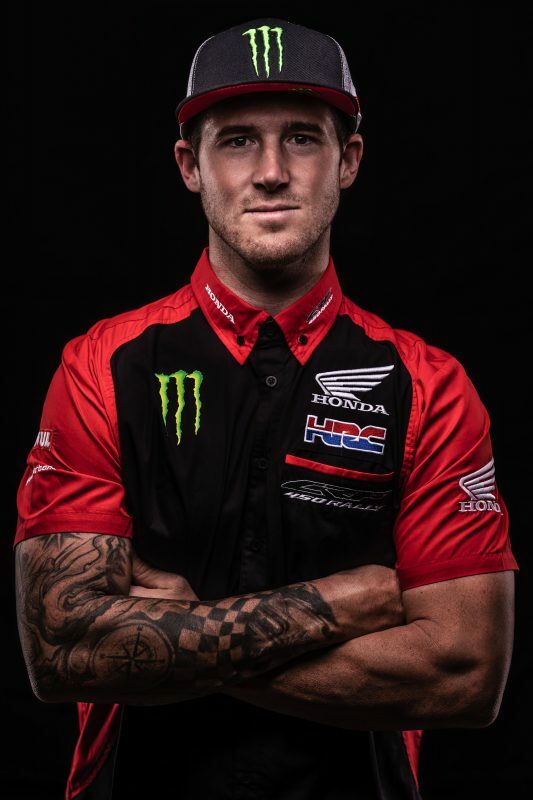 It wasn’t all good news for Team HRC. 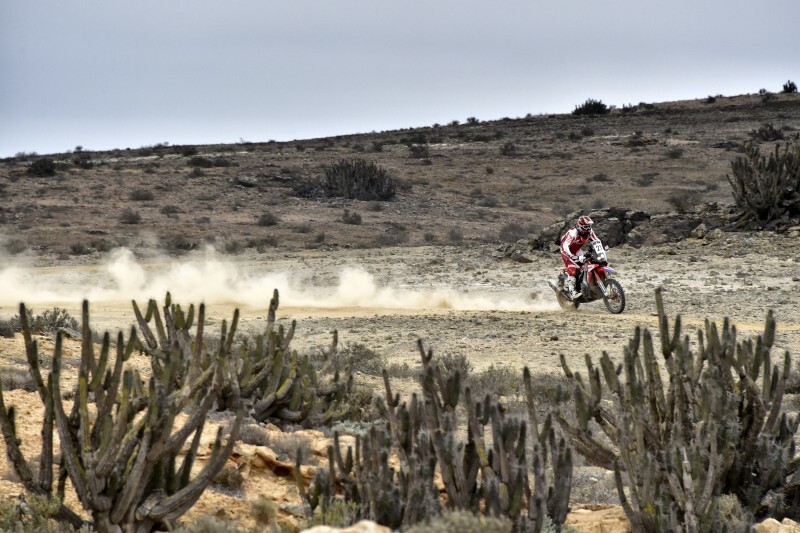 Early in the special in an area of fesh-fesh, the team’s Argentinean rider Kevin Benavides ran into a rock obscured by sand. 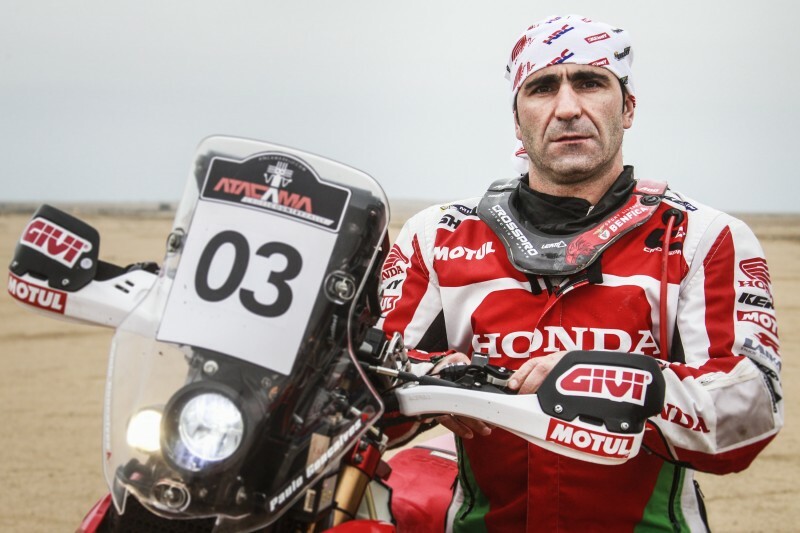 The biker from Salta went over the handlebars of the bike which then impacted his body. Luckily, Kevin was able to get over the blow and get back in the fray, although he did concede some time to teammate Gonçalves. Benavides drops to fourth place in the overall standings some 8’34 behind leader Australian Toby Price. 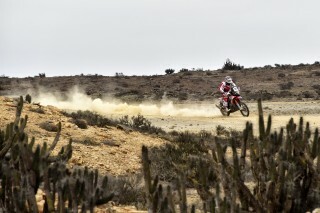 Ricky Brabec rode a steady stage today. The American continues with his apprenticeship to improve navigation skills, although today was more about velocity, with an average speed of 130 km/h. 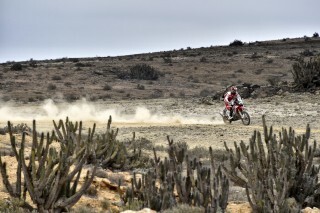 Ricky was seventh on the day and occupies the same overall position. 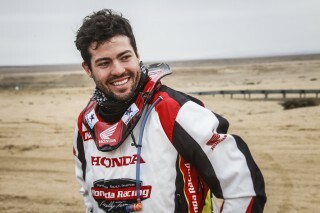 The Argentinian Franco Caimi from Team Honda South America finished in a well-deserved eighth spot just behind Brabec. He likewise lies in eighth overall. 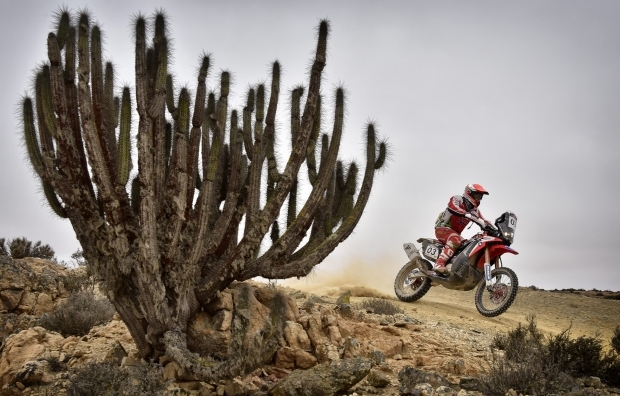 The sixth edition of the Atacama Rally finishes tomorrow in Copiapó. 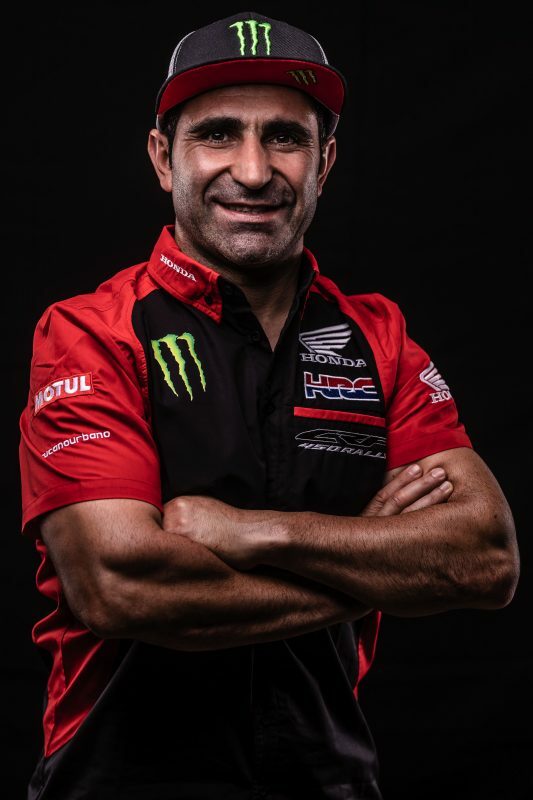 Look forward to 100 kilometres of timed special in which the Team HRC crew will look to consolidate the podium places of riders Paulo Gonçalves and teammate Kevin Benavides. Today we had quite a long stage with 320 kilometres of fast track and some dangerous rocks. We had to be very careful. 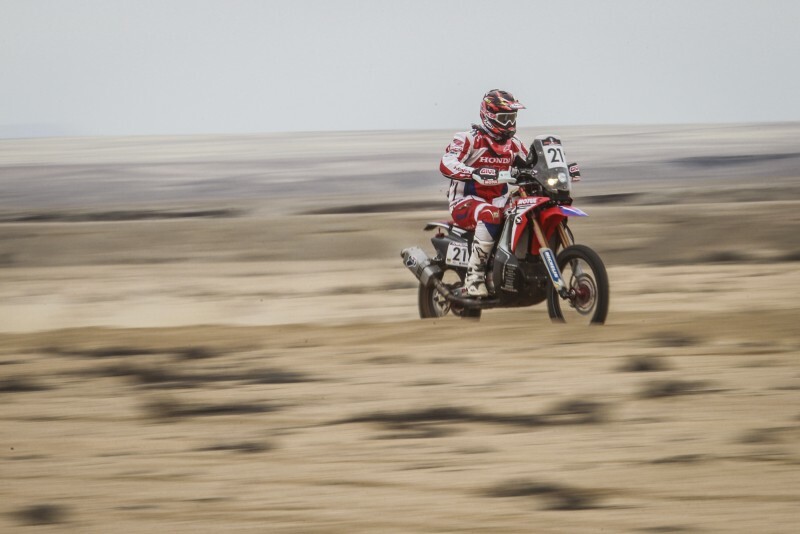 I tried to keep up a good pace because the abdomen pains of the last two days had eased up and I made it to the end of the stage with the fastest time. 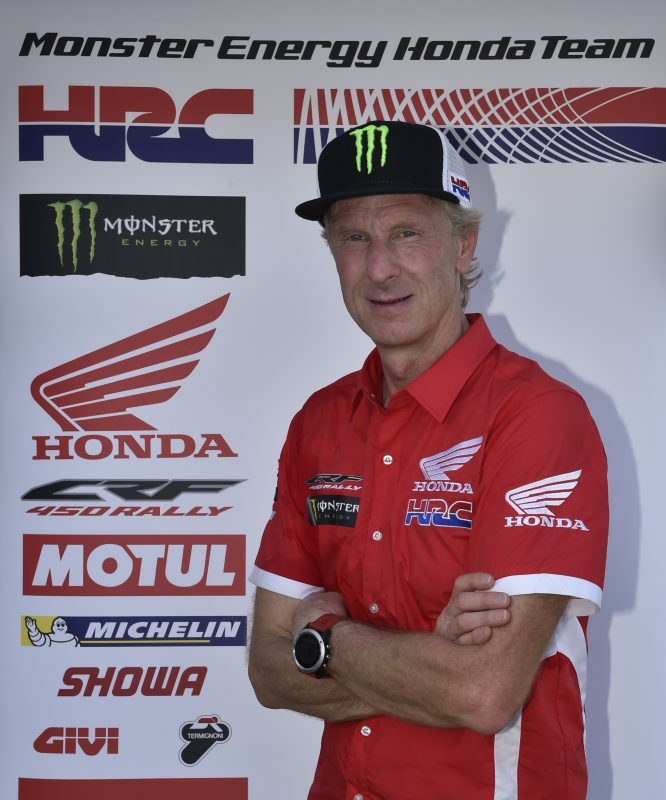 I’m particularly pleased about the way the bike is developing which is really proving to be good thanks to all the work that has been put in by Team HRC. 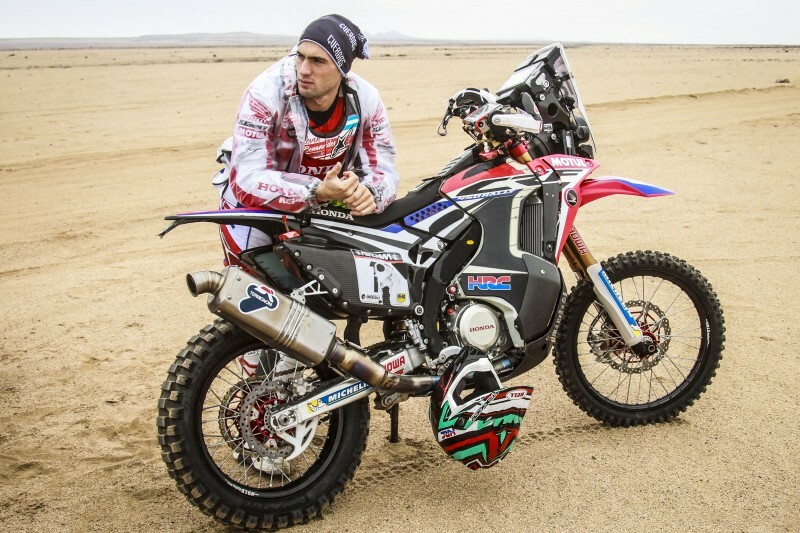 Tomorrow there are still 100 km left to go and we have to try and do it well. Today has been a very difficult stage. Around kilometre 60 I fell in an area of fesh-fesh. I hit a hidden rock and went flying. The bike span around a couple of times over me and then hit me. 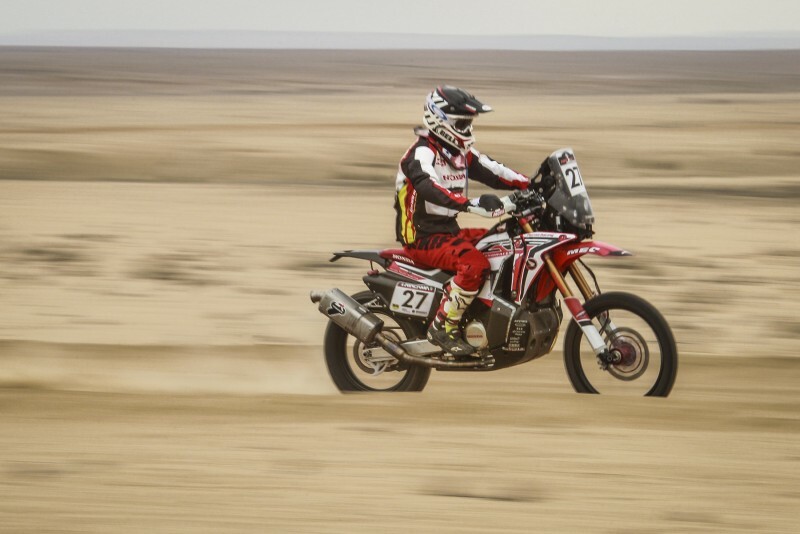 I was lying there in pain for a while, then I got myself back on the bike and got through to the end of the stage. Being able to start from further back tomorrow probably means that I will be able to make up some lost time. 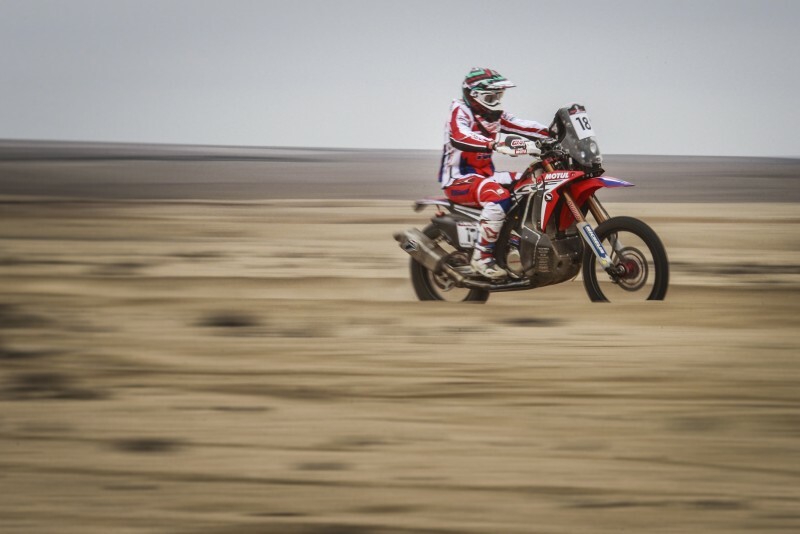 For the fourth stage here at Atacama it was really fast and that meant that it was very hard to make up any ground on the riders in front or pull back any time. It was full gas for practically the whole day and a fair bit of difficult navigation in there too. 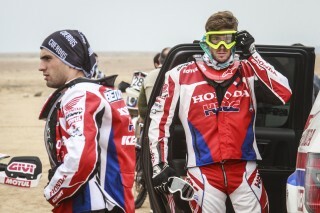 But we have made it here safe and sound and are all ready to go for the last stage tomorrow where there will be a lot of dunes. 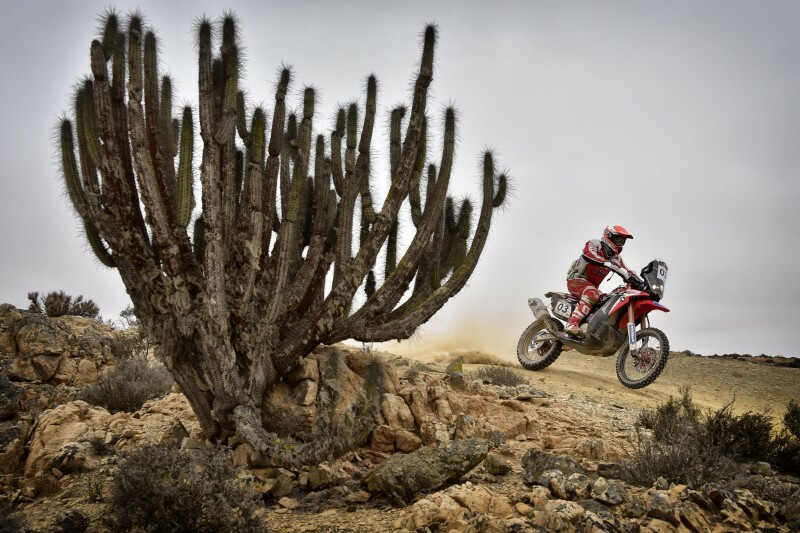 It was a good day today with the victory for Paulo Goncalves who had a great stage at a very good pace; above all because he was able to manage his advantage very well in the second part of the stage. It was a pity for Kevin Benavides who was going really well until, unfortunately, he fell and lost a bit of time. Anyway, it’s a good position for tomorrow’s final stage which will be in the sand and the team will try and pull back some time. Brabec’s performance was steady and that will set him up for a good position in the overall standings. Now we are working on getting the team and the bikes really for the final stage of 100 kilometres. Thanks to everyone for following us.